Wai Wai City is India’s first QSR noodle bar concept brought together by CG Corp Global, the multinational conglomerate behind one of the most iconic noodle brands – Wai Wai Noodles. 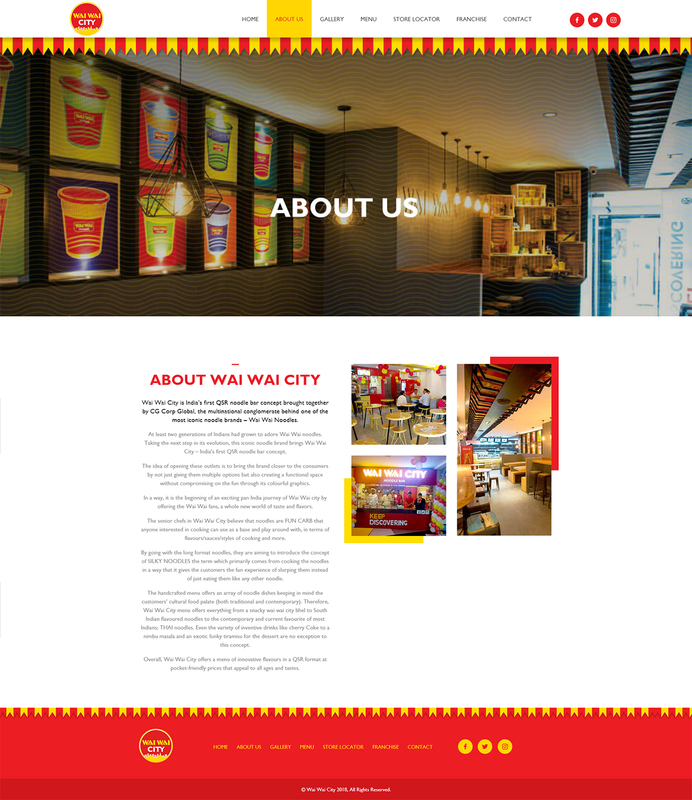 Wai Wai City was looking at enriching the overall user experience through design and ease of navigation. 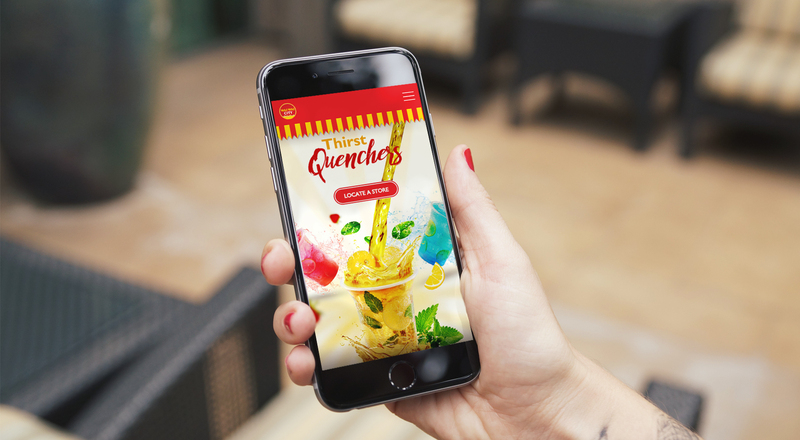 Bring the brand closer to the consumers by providing them a complete detail about the outlets, menu and milieu. Improve keyword tagging to result into better Google and other search engine results. Build curiosity in the consumer’s mind about Wai Wai City and make people search for the outlet in their city. Trigger appreciation from the visitors by revamping the current website and make it user-friendly and interactive, thereby, driving footfalls to the store. We have given the website a fresh look in terms of the look and feel and made it clutter-free with ease of navigation. 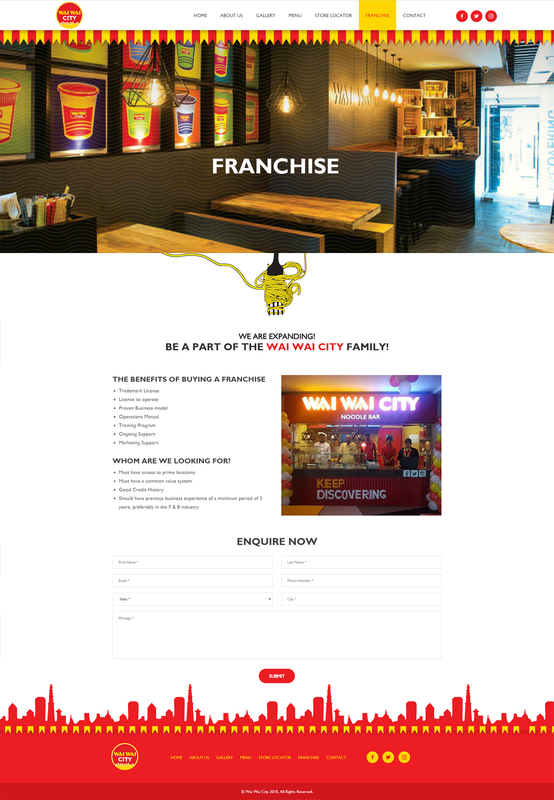 The website was built to be responsive for easy accessibility over desktop, tablets & mobile which ensured SEO for Wai Wai City and improved its ranking in the category of food outlets. Launched the Wai Wai City mobile app that is in sync with the website design, look and feel. We have put the location link upfront as we want our users to find the restaurant address with Google map. Along with the address we have also posted the phone numbers and opening and closing timings of the outlets. One of the basic things people check when looking at a food outlet website is the menu. 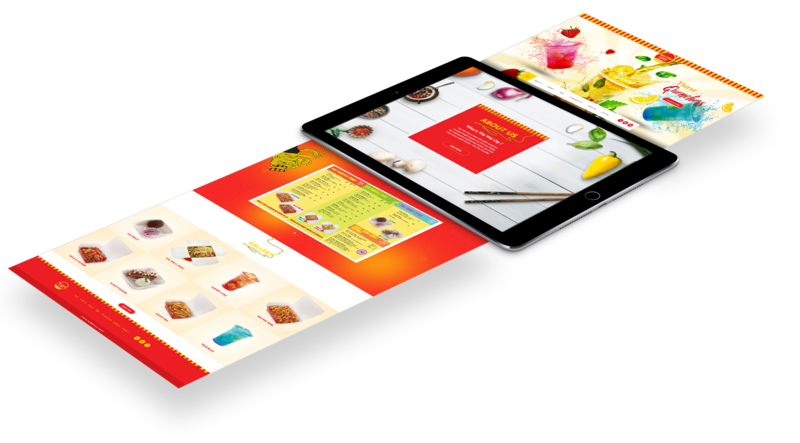 The new menu of Wai Wai City was made easily accessible to the user. Restaurant venues and food items are visual in nature and people looking for a place to dine rely on the website images to form an initial impression. We have used high quality images of the food items to appeal to the users.  The easy navigation and responsive layout helped users to access any information easily. The AMP technology ensured that pages are loaded quickly on mobile devices, to enhance page load time. An SEO content rich was developed for better Google and other search engine results.